Greetings funny names fans. We are on a football roll here at the BoFN with our funny names in the 2017 NFL draft. Vote for your favorite name here. Polls close at noon E.D.T. today. Rosey Grier. The man who put the manly into needlepoint. In keeping with the football theme, let’s discuss Roosevelt “Rosey” Grier. Rosey’s football career started in 1955 when he joined the New York Giants as the 31st overall pick in the third round of the draft. With his 6’ 5” stature, I think Giants a perfect marriage of name and height. He was traded to the Los Angeles Rams in 1966 playing as part of the “Fearsome Foursome” with Merlin Olsen, Lamar Lundy and Deacon Jones. Rosey played for three more years before a torn achilles tendon retired him from football. 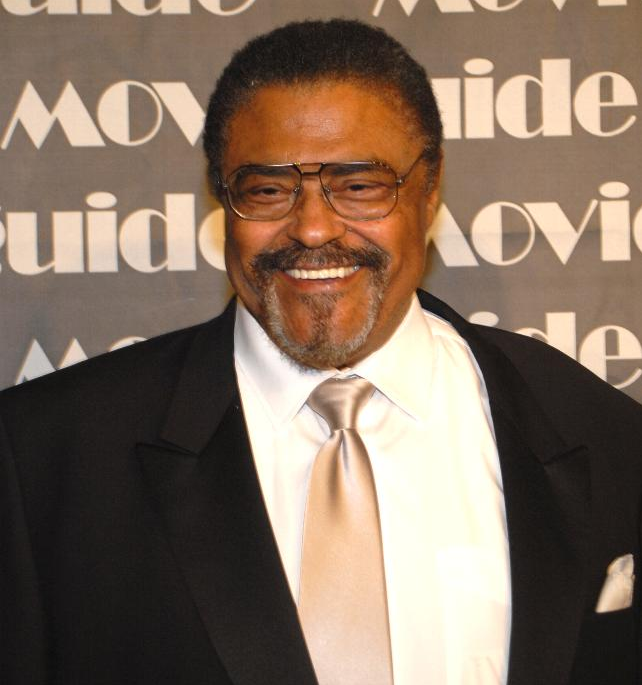 After retirement Rosey hosted his eponymous TV show, the Rosey Grier Show, airing in Los Angeles—discussing community affairs. His friendship with Bobby Kennedy cemented Grier’s place in history. Rosey served as a body guard for Kennedy when the young senator campaigned in Los Angeles in 1968. While guarding Bobby’s wife, Ethel, shots were fired by Sirhan Sirhan wounding and ultimately killing Kennedy. Rosey ran toward the noise. A group of men, George Plimpton, Pete Hamill, and Rafer Johnson, tackled the gunman. Sirhan held the gun to Plimpton’s face and Rosey wrench the gun from Sirhan’s hands preventing more bloodshed. A crowd of angry bystanders charged Sirhan, one wrenching his leg. Rosey fought back the crowd preventing more violence. Sirhan is still serving a life sentence at Donovan Correctional Facility in southern California. On a happier note in 1968, Rosey toured with Bob Hope’s USO tours. He enjoyed a recording career and became famous in the 1970’s for his non-traditional hobbies of needlepoint and macrame. He authored several books including “Rosey Grier’s Needlepoint for Men” in 1973. Rosey’s acting career included commercials, movies, and TV roles from “The Man from U.N.C.L.E.,” “I Dream of Jeannie,” “Quincy, M.E.,” “Kojak,” “CHiPs,” on up to a voice guest in 1999 on “The Simpsons”. The biggest change for the talented man came in 1983 when he became an ordained Presbyterian minister. Nowadays he travels the U.S. working as an inspirational speaker. Rosey Grier, you’ve had quite a career. Can’t wait to see what you do next. But that’s not all, on January 5, 2017, at the age of 84, he announced his candidacy to run for the Governor of the state of California. This entry was posted in Funny Author Names, funny names in sports, funny names in tv and tagged athletes, bio, celebrities, entertainment, funny names. Bookmark the permalink. I, too, remember him for his needlepoint. I found a few Miller Lite commercials on YouTube featuring his needle point. Totally cracked me up. You may remember Rosey Grier more for his needlepoint than his football career. This month’s contribution to the BoFN. I never knew about the Kennedy connection! Wasn’t that a cool thing. In the current age of dopers, it’s encouraging to remember a terrific athlete who was also a mensch. He is definitely a man of honor. And he was some player too. And with a name like Roosevelt Rosey Grier…..well, you guys at blog of funny names are well aware etc etc…. I can’t wait to whack more pigskin around the lunchroom. I mean wrestle speeches off the screen . . . Sermons are campaigning with Oscar-Winners. What???? Amazing! I am familiar with the Fearsome Foursome, but didn’t know the name Rosey Grier (although I know Deacon Jones because I think he coined the term “sack” (hence the “Deacon Jones Award” being given to the league leader in sacks each year). Rosey Grier seems like quite the gent, and Rosie The Giant is a name I never thought I’d consider. I miss the days when they’d name people after presidents. That made for good Funny Name-ism. Just ask baseballer Calvin Coolidge Julius Caesar Tuskahoma “Cal” McLish. Thanks, Dave! I have to say watching the Fearsome Foursome play back in the day was something to behold. A lot less padding back then too.